Different sorts of residential renovation projects require different teams of professionals at the helm. Some, for example, only necessitate the services of a general contractor, while others call for additional assistance from an architect, an interior designer, and other specialists. In this particular guide, you will learn more about the kinds of fees that architects generally charge their clients. If you’ve never hired an architect before, the process can be a bit intimidating. It’s important to remember, however, that many architects specialize in residential design and they are not all spending their time creating high-powered, corporate skyscrapers. Once you find an architect who makes you feel at ease, you will need to understand how his or her fee structure works. The next few paragraphs feature details about the three most common ways in which architects determine their rates. Percentage of the total project cost – If an architect tells her his or her fee is going to be a specific percentage of the total cost of your renovation, you may not know exactly how much you owe him or her until the job is over. If, though, the project ultimately costs less than you were expecting, you could owe him or her less than you budgeted, which is always a nice surprise for homeowners. Furthermore, you will owe very little, if any, money upfront. As a general rule, architects charge from 8% to 15% of the total cost. Several factors play into where an individual professional falls on this spectrum. Typically, however, the more experienced an architect is, the more he or she will charge. Those who work in urban areas, such as Charlotte, NC, also usually charge more than their rural counterparts. Hourly rate – Working with an architect who charges an hourly rate means that you are simply paying him or her for the hours that he or she puts into your job. Again, the more experience an architect has, the higher you can expect his or her hourly rate to be; the average, however, is about $100 per hour in many parts of our service area in the Carolinas and Virginia. If you want to have some control over how much you ultimately pay your architect, you can ask for an addendum to be added to your contract. It should say something along the lines of, “Client agrees to pay an hourly rate of $120 per hour up to 15% of the total construction cost.” You should, of course, insert the numbers that pertain to your situation. Fixed price – This is exactly what it sounds like — some architects charge set rates for every job they do. This allows both the architect and the client to know exactly how much money will be changing hands over the course of any given job. 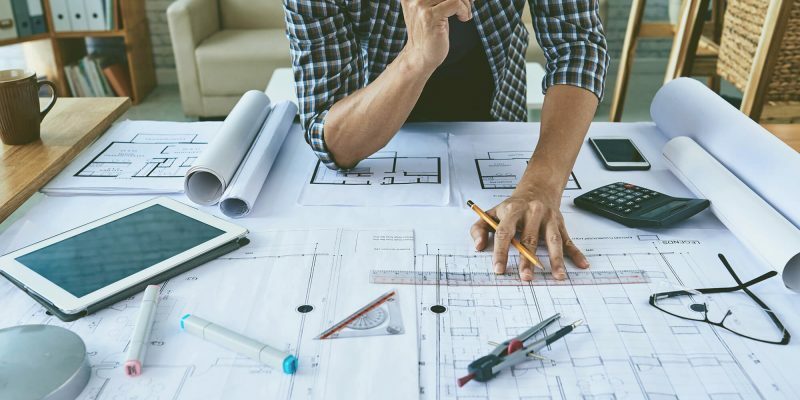 Some architects, however, don’t like doing these kinds of jobs because, depending on how the contract was written, they may have no wiggle room if design plans change and they have to do more work. The team at Hatch Homes is willing to work with any architect you hire for your job in the region of the Southeast we serve. We have great working relationships with many architects and other specialists throughout the area, so if you are considering us for your project and you need recommendations, don’t hesitate to contact our office for assistance. We are here to help you anytime.